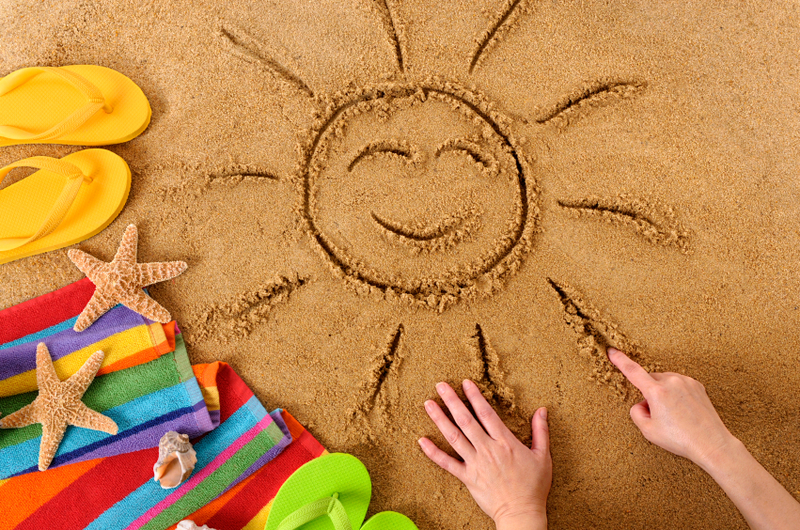 While summer vacation is well under way your child may be thrilled to enjoy the much anticipated lazy days and sleeping in, the prospect of summer break is not always quite that unalloyed pleasure for parents. While all kids do better with structure and routine, those with mental health issues including anxiety, ADHD, and autism spectrum disorders are especially dependent on the predictable “safe zone” that school provides. Without it, they are more prone to anxiety, oppositional behavior, and tantrums. For the parents who care for them, “summer vacation” can be anything but. While you may never be able to duplicate the structure school provides, it helps to maintain a daily schedule as much as possible. It can be very tempting to let your kids stay up late and sleep in—especially on weekends, when you want to do the same—but in the long run, sticking to the same schedule pays off by keeping your child more comfortable, and hence more cooperative. Try to schedule as many activities as possible, as early as possible, and keep your kids posted. This can mean anything from “we’re going to Aunt Mary’s Thursday at p.m. for dinner” to having a set routine that every day, weather permitting, you will be going to the playground or pool. Even one such activity can give kids a center of gravity, so to speak. Home can become a safe cocoon. Even if camp is not in the cards, try to find something your child enjoys—riding a bike or scooter, playing tag, or splashing at the community pool, water park, or beach—and do it. In addition, physical activity is good for everyone’s mind, body and spirit, especially those kids with energy to burn. Bring familiar items, favorite snacks, and things that help your child or adolescent stay on track with home routines. Utilizing your child or adolescents strengths and interests during the summer can assist in building self-confidence as well as creating a fun atmosphere for you to share with them. Summer can bring camp, new activities, and different authority figures like new sitters, all which can be stressful. Figure out your child’s fears, whether it’s separating from you or striking out at baseball. If you are having trouble doing this, try asking open-ended questions. Rather than pose a yes-or-no question like “Are you worried about camp?” ask “How are you feeling about going to camp?” Once you know, you can encourage her to face her fear. The goal is to teach your child that feeling anxious is uncomfortable but anxiety will decrease if you push through it. A technique called gradual exposure is a good way of relieving a child’s anxiety about a new experience. For instance, if he/she has separation anxiety or social anxiety—he/she may be worried that others will not like him/her or he/she will embarrass themselves in an activity—you might watch the activity first. The next time, you could stand further back or leave at an appointed time. Eventually, you will be able to drop off your now-comfortable child. It can also be helpful to give those working with him/her a head’s up, without overstepping your bounds. Your goal is to set your child up for success; that includes making sure all the adults are on the same page. Even with the best-laid plans, you may see some regression and worsening behavior over vacation. Give yourself a break for not being able to magically avoid it. And be ready to hold your ground in as calm, firm, and consistent a manner as possible. Yelling or becoming physical only escalates things, while giving in teaches your child that if they scream loud enough, they will get what they want. You may find your child is just as happy playing in a sprinkler and earning music downloads for good behavior. And if you can maintain a sense of fun, there will be many moments of learning and development of the kind that can’t happen in a classroom.